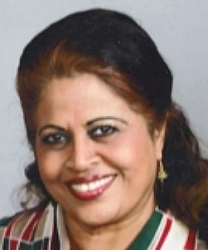 Buena Park, CA, March 30, 2019 --(PR.com)-- Soruba “Rani” Kuusto of Buena Park, California has been recognized as a Woman of the Month for March 2019 by P.O.W.E.R. (Professional Organization of Women of Excellence Recognized) for her outstanding achievements and high level of success in the field of healthcare. Each month, they feature women to represent their professions and industries due to their expertise and success in their chosen specialty. Soruba “Rani” Kuusto is the owner of wellnessnurse.com (under construction), a new company providing nurse consulting services. With over 35 years’ experience, she is a recently retired nurse consultant from the State of California, Department of Corrections. She is a skilled negotiator who handled complex issues from the California Governor’s office as a Chief Nurse Executive. Soruba served as a nurse consultant and is a Certified Nurse Instructor and a Certified Public Health Nurse. She offered consulting services through CAL-OSHA during her employment. Since retiring, Soruba volunteers her time in the community which has been her passion. She is a member of many organizations and holds the following positions: co-chairperson for the Health and Wellness Council, GOPIO International, chairperson of the local chapter of GOPIO-Los Angeles, vice-president of the Fullerton Lion’s Club and volunteer for the SAHARA organization. Previously, she volunteered for Habitat for Humanity in Mexico, volunteered in Chennai, India helping survivors of a tsunami, and worked with Peace Corps volunteers in the Middle East and England. Soruba helps the homeless people in her local community during the weekends by cooking and serving breakfast, and distributing clothes, shoes and socks. As a nurse educator, she volunteers her time by educating the local community, schools and prisons on a variety of subjects such as diabetes, heart disease, domestic violence, bullying, and other relevant issues. Soruba earned her B.Sc. in Nursing from the S.N.D.T. College of Nursing in Mumbai, India and her M.P.H. from California State University- Long Beach. Her hobbies include travel, art, music, theater, the stock market, ethnic cooking and photography.